Administrative rules are laws affecting the legal rights and privileges of the public or other governmental entities, and have all the effects of a statute enacted by the Legislature. Rules are created by agencies of the state's executive branch, are enacted as laws under regulatory authority granted by the Legislature or the state Constitution, and are subordinate to statutes. In short, the Legislature has created a method by which Executive branch agencies can codify their own policies and procedures and give them the force of law. Administrative rules go through an approval process which includes a public comment period. The creation of administrative rules began in 1973 when the Office of Administrative Rules was a part of the Utah State Archives and Records Service; it is now a separate office under the Dept. of Administrative Services. The process of making administrative rules involves the production of a number of types of records which detail the steps of the process. The most useful series include the Administrative Code, the Utah State Bulletin, the Utah State Digest, and the Administrative Rules files. Descriptions of those records series, as well as other potentially useful series are listed below with details regarding Archives' holdings for each. The current Administrative Code (Series 83623) is available at the Research Center, the Office of Administrative Rules, and through most law libraries. The last volume in the set has a subject and agency index to the rules. The Administrative Code also contains references to when each rule was passed and/or amended, and frequently contain the Rule file number. 1973-1987: a binder format in which sections were updated as needed. 1987-1994: published annually in volumes. 1994-1999: a binder format in which sections were updated quarterly as needed. 2000-ongoing: published in volumes, updates published as needed. 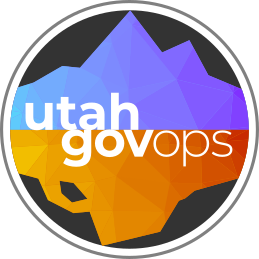 The Utah State Archives has pieces of the Code up to 1982, nothing between 1982 and 1987, and a complete run of the Code from 1987 through the present. The compilations from 1987 and 1989 are now online. The Bulletin (Series 83311) is a bi-monthly publication from the Office that includes recent Governor's proclamations and executive orders, Attorney General opinions, notices of public hearings, listings of new state publications, and other information, all usually printed in full text. The bulk of the Bulletin consists of proposed administrative rules, temporary "emergency" rules, rules being reviewed, and the effective dates of rules listed as proposed in earlier issues. The Digest (Series 83622) is the abstracted version of the Bulletin, Series 83311. If you are just looking for effective dates, or other details about the Rule other than the text of the Rule itself, this is a quick way to find that data if you know approximately when the Rule came into being. These files (Series 7192) document the rule creation process for each Rule in the Code. File numbers are assigned chronologically by date of the filing of the request for a rule. Frequently these file numbers can be obtained from the Code. If not available through that route, if you know approximately when the rule came into being, you can check the Register, Digest or the Bulletin for the file number. Alternatively, the Office of Administrative Rules maintains a card file index to rules filed between 1973 and 1987, and researchers can get access to that index through the Office of Administrative Rules. The Administrative Rules files include a printout of the Rules Analysis form; which records agency information, purpose, cost impact, comment period, effective date, status of action being taken (new, amended, repealed, repealed and enacted, 5 year review, or 120 day emergency rule); a copy of the final draft of the rule text; and a notice of effective date showing when, if ever, the rule was made effective. (Some proposed rules may never have passed the process.) Files may also contain correspondence, petitions, or notes made or received by the Office of Administrative Rules regarding the filing. The register (Series 84327) is a chronological listing of the Rules files filed with the Office and includes the name of the person at the filing agency who signed the form, the effective date, the date the Rule was published in the Bulletin, how many pages in the Rule text, etc. The most useful element of this register is probably the column format: for example, if you would like to look at all Rules proposed by a specific agency, the column for the filing agency could be read quickly for the agency name. The Archives holds a microfilmed copy of this register for the dates of 1973 through 1990; more recent register listings are available through the Office of Administrative Rules. For a 2 year period from 1987-1989, the Office of Administrative Rules kept Non-substantive rule change files (Series 23021) separately for those proposed filings that were intended to change a word or correct a typographical error, etc. For example, anything that didn't affect the actual meaning or enforcement of a rule. This publication (Series 83682) is an annual periodical for the use of agencies that explains the process of filing Rules. The Archives holds copies of this publication beginning in 1987. 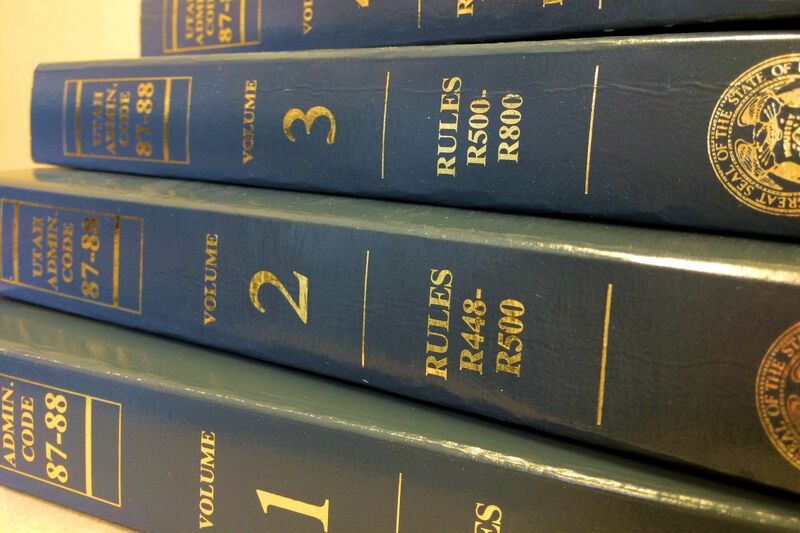 More recent copies of the manuals may be available through the Office of Administrative Rules. Page Last Updated August 9, 2018.